When we—three scientists and rescue pet owners—founded ALTRU, we did so with the mission of making a difference in the lives of homeless pets. With an estimated 6.5 million pets entering shelters each year, our best friends need our help. 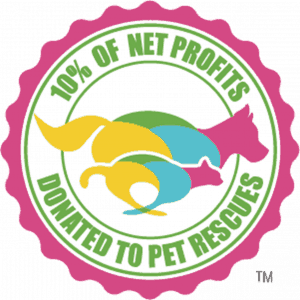 That’s why we donate 10% of ALTRU’s net profits to pet rescues. With every bottle of ALTRU you drink, you will feel good about what you are putting in your body and you will do good at the same time. Together we can help better the lives of homeless cats and dogs everywhere. Feel Good, Do Good: that’s what ALTRU is all about. Join us on our mission to help cats and dogs in need while you stay hydrated with beverages infused with exotic flavors and a unique blend of antioxidants and electrolytes. We hope you’ll tag us with photos of your furry family members and a bottle of ALTRU @drinkaltru. We’d love to meet them. Established in 2010, Karma Cat + Zen Dog Rescue Society is an organization that puts a positive light on animal rescue efforts. Through the help of our leadership and animal care volunteers, board members, donations, and grants, we are able to operate our foster, spay/neuter, trap-neuter-return, and education programs to further our mission. We are a volunteer-run, New Jersey-based 501(c)(3) nonprofit with two adoption center locations: the Milltown Adoption Center at 39 S. Main Street in Milltown, NJ and the North Brunswick PetSmart (Rt. 1 S). Through public Wellness Clinics, Humane Education programs, and surrender prevention services, LHS’s goal is to reduce the number of animals who enter shelters and provide a higher quality of care for animals in homes. They give the members of our community the tools they need to take ownership for the treatment of animals, both in and out of the shelter system. At Northeast Animal Rescue, we are dedicated to saving homeless, unwanted and abandoned cats. NAR focuses on having feral (wild) cats spayed or neutered to decrease overpopulation. In the process of helping feral cats, we come across many who are friendly. Our goal is to place these cats in stable, loving homes where they will be cared for and never be abandoned, abused or neglected. We at NAR want to be a stable and complete group. We have learned that we cannot save the world, but we try to save one animal at a time. Since 1941, SAVE, A Friend to Homeless Animals, has focused on the successful rehabilitation and placement of adoptable animals and is committed to strengthening the human-animal bond. SAVE operates as a limited admission shelter partnering with our community to provide a safe haven for lost, stray, or abandoned cats and dogs. The shelter facility has the capacity to house upwards of 100 animals at a time (approximately 75 cats and 25 dogs). Our adoption numbers are growing every year. We are located at 101 Rt. 601 in Skillman, NJ. SAVE is a non-profit exempt 501(c)(3) with a Four-Star Charity Navigator rating.